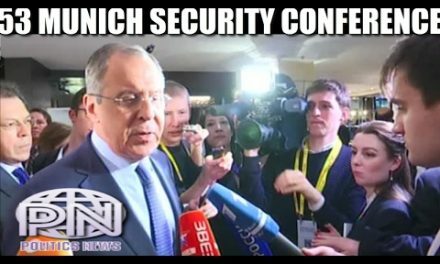 And let's talk about the news of the day: Sergey Lavrov has told to the journalists about the first personal meeting with the new General Secretary of USA, that has taken place in Bonn where the Russian minister and Rex Tillerson have come for meeting up the main diplomates of the G20. Lavrov has called by the conversation with Tillerson as "productive". "We've confirmed the presence of common interests, some converging interests, first of all for what concerns the inexorable struggle against the terrorism. We've arisen also the situation in the bilateral relations, that were essentially blown up by the Obama's administration above all in her latest months. It was confirmed by Rex Tillersen the readiness, that has expressed the president Trump during the conversation with Mr.
President, Putin, in overcoming this period, in repairing all, that's been underwritten, all, that's fake, by understanding, that some questions, requiring an agreement, a decision, will obviously always remain in the relations. And we obviously won't overcome all the discrepancies in a whiff. We agreed, that we'll keep on the contacts. We'll have an entire series of possibilities in the next months. And we'll start off from the fact, that when the Presidents will consider it as possible, the President Putin's and President Trump's meeting will take place somewhen. 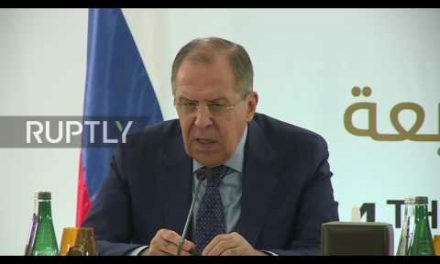 In the leaders of the Foreign Affair's conversation the question of the sanctions wasn't arisen, Sergey Lavrov has answered to the journalists. But the theme of Ukraine and the state of affairs in Syria was talked over in Bonn. Above all in the first Sergey Lavrov's meeting with the Frank-Walter Steinmeier's incomer, the leader of the Ministry of the Foreign Affair's seat of Germany. Zigmar Gabriel has hold this place after the fact, that Steinmeier has become the president of Germany.